Introducing our new 20' Fire N Ice with landing. The first two-story water slide that allows kids to choose from what height they want to slide from. Climb up the ladder and stop at the first platform, or continue 3 feet higher and slide down the second into a pool of cool water! 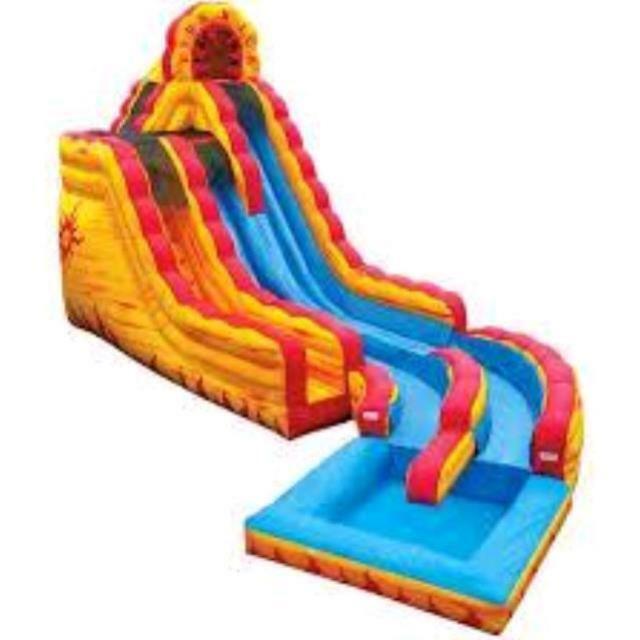 * Please call us for any questions on our inflatable fire n ice w/pool rentals in Cornelius NC, Lake Norman, Mooresville, & Davidson, North Carolina.